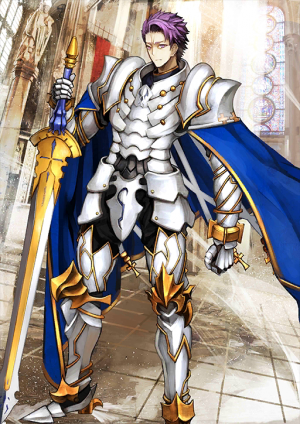 This article is for the 4★ , Lancelot. 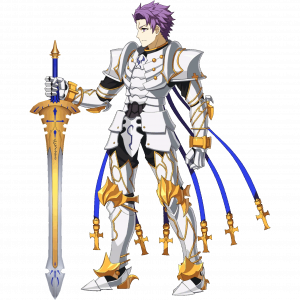 For 4★ , see Lancelot. Deal significant damage to a single target. Overcharge: Apply increase incoming damage to a single enemy. (5 turns). 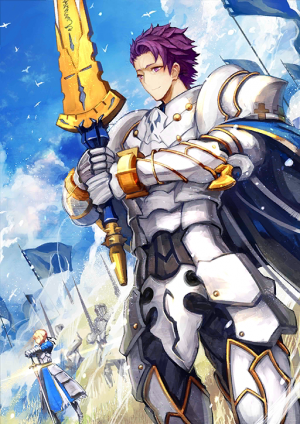 When equipped on Lancelot (Saber), Increase Party's NP gain by 10% and Increase Critical Damage by 10% while he's on the field. 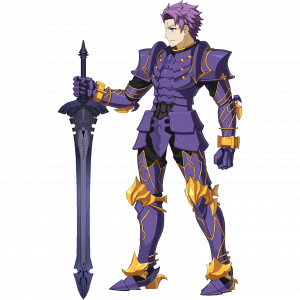 Lancelot is one of the Knights of the Round Table and a hero extolled as the greatest knight. Despite serving King Arthur, he ended up breaking with the king upon falling into an immoral love with Guinevere. 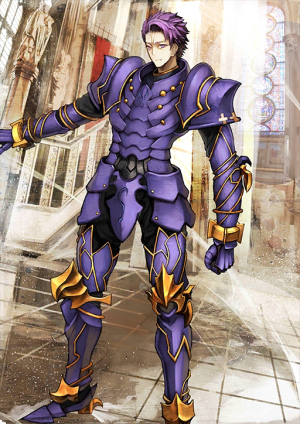 Lancelot in his proper Class. 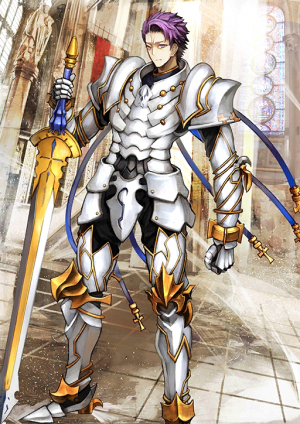 Great knight Lancelot, it is in this condition - summoned under the Saber Class - that he is the closest to his original form. Caring for justice, honoring women, loathing evil - this virtuous figure overflowing with romance was acknowledged as the "ideal knight" by King Arthur. 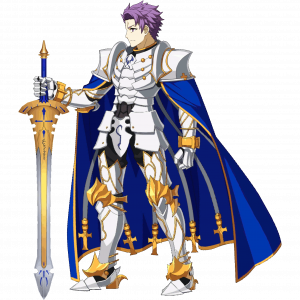 However, Lancelot himself probably feels more than anyone else that it is an irony for him to be a Saber. A noble knight? Don't make me laugh. I participated in the destruction of Britain! 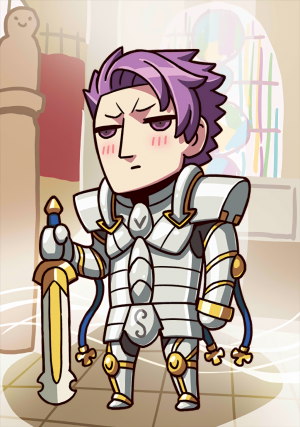 And thus Lancelot is convinced. 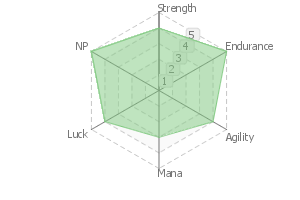 That the most appropriate Class for himself is tlberserker. Bestowing an overload to the Unbreakable Lake Light, letting the changed magic energy leak out. It is then repurposed into an attack. This Noble Phantasm is something close to a sword skill, which deliberately refrains from emitting the magic energy that would originally turn into a slash of light, instead releasing it upon cutting at the target. The blue light of the vast magic energy that overflows from the severed section has been alluded as like a lake.